Heather Ewart heads to the NSW outback town of Lightning Ridge, a place of dreamers and drifters, with most residents lured by the black opals. 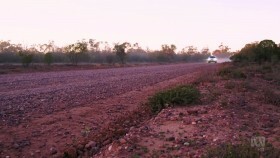 Heather discovers the many stories of Lightning Ridge's outback grit. Experienced in Ripping and have a Digital TV source?